The Kinta Real Estate group has begun work on Tin City in Falim, which will see more commercial growth to this southern section of Ipoh City. With a budget allocation of RM150 million, this development was officially launched in May this year and is expected to be fully developed in 2017. In conjunction with the official launch of the project, the group is organising an exhibition themed ‘A Return to Ipoh’s Glorious Times’ which is on till August 11. “This special exhibition showcases Ipoh’s mining history. Visitors can expect an exciting and interesting display of artefacts, photographs, videos and paraphernalia from the tin mining industry and the families which helped to create the history of our city,” Poo says. Admission to the exhibition which opens from 10am to 6pm, is free and complimentary shuttle buses are available to Falim House at 180 Jalan Lahat, from the railway station (only on Saturdays and Sundays until August 11). Falim House is itself a rich piece of Ipoh’s history, having withstood the test of time for the past 86 years. 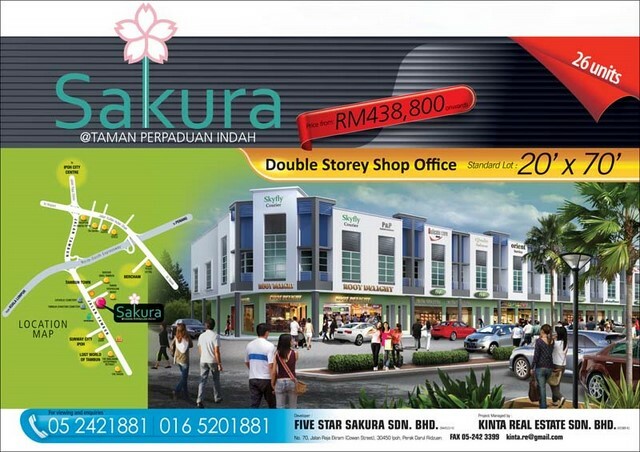 For further details about Kinta Real Estate, call 05-282 7888 or 012-515 7887. Developers in Perak are bullish over property development in the state with some feeling its capital Ipoh has finally entered the major league of property investment by getting noticed. CEO of Superboom Projects Peter Chan, the developer of the award winning condominium project The Haven in Tambun, said the lull in the building industry currently being experienced elsewhere in the country is a good sign for Perak and Ipoh in particular. “Buyers will look for the least risky places to invest and Ipoh will definitely be one of them,” he told Ipoh Echo in a recent interview. Chan, who has stayed in Ipoh for the past 10 years, based his opinion on the leads and lags factor. “Ipoh is fast becoming the number 1 property investment destination as seen from the steady rise in property prices here over the year,” he said. “The time has come for the successful to own a second home or a getaway home,” he added. Citing The Haven as an example, Chan said locals formed the bulk of purchasers. Chan foresees that Ipoh will be the next centre of attention in the coming years. “Ipoh has a good prospect with the Electric Train Service and the extension of the Sultan Azlan Shah Airport runway which will lead to more flights and more destinations being offered,” he said. The low cost of living in Ipoh makes it another attraction to investors, added Chan. 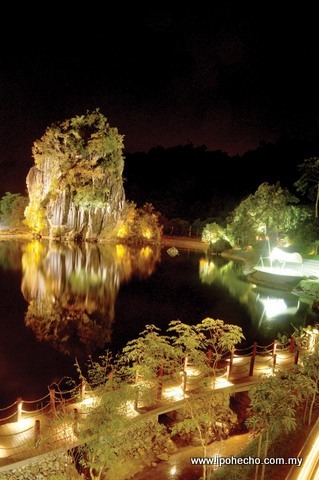 “Best town in the world is Ipoh with its laid-back lifestyle,” he enthused. Agreeing with Chan, Tumbuh Merata Sdn Bhd director Tony Khoo said the price of double-storey projects in the city had almost doubled since three years ago. 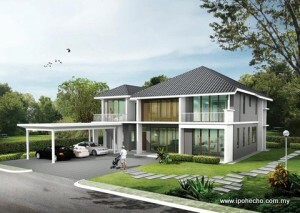 “A double-storey house for RM180,000 then, can now fetch between RM290,000 and RM300,000,” he revealed. Khoo was however quick to add that property prices are still relatively low in Ipoh as compared to other cities. 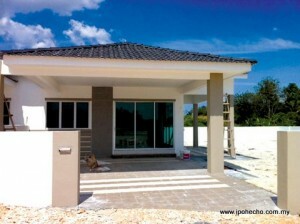 Khoo added that most purchasers of properties in Ipoh now, are middle income earners with more disposable incomes. 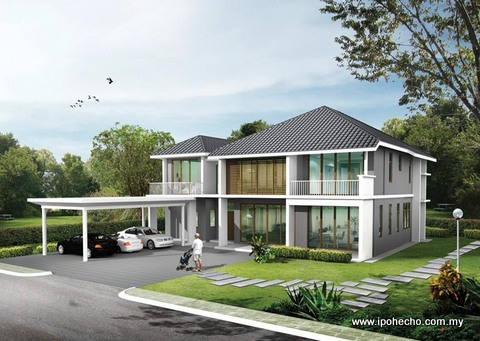 “Compared to 10 years ago, properties in Ipoh are being snapped up by Ipohitess working overseas and planning to retire in the city,” he noted. 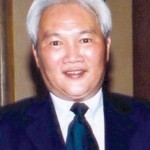 The local property scene, according to Khoo, lacks medium-cost units, which he blamed on the high land costs. “Coupled with high building costs, developers cannot sell their projects at a bargain,” he explained. He said, however, that purchasers would weigh in factors like locality, whether a project is gated, its design and pricing before deciding on investing in a project. “Bank policies are also affecting our sales as we can’t close a deal if prospective buyers can’t get a bank loan,” he added. Khoo said projects with safety features will definitely be a plus point for purchasers when considering a property to invest in due to growing concern over high crime rate. “I would say 70% of buyers will go for it if they can afford it,” he said, adding that the only drawback of a gated community is the high monthly maintenance charges they have to incur. Kinta Real Estate Sdn Bhd managing director, Dato Poo Tak Kiau, however believes that the location of a project determines the marketability of a project. Citing Bandar Baru Meru as an example, Poo said due to plans to relocate Government offices there, projects there are being snapped up like hot cakes. “Even before the dust for the first phase project has settled, investors are queuing up to purchase the second phase,” he said. Citing Meru Desa Park as another example, Poo said the price has appreciated from more than RM308,000 to more than RM400,000 within six months. In Bandar Meru Raya, a 24”x90” terrace house project which was fetching RM400,000 previously is now changing hands at RM600,000. With a hypermarket, central bus station, hotel, convention centre, education centres and amusement park being built in Bandar Meru Raya, Poo reckons that when the entire Bandar Meru Raya is fully developed, the prices of properties will skyrocket. Poo said another location that investors should be on the lookout for is Kampar. “With Universiti Tunku Abdul Rahman, there will be more demand from students for accommodation,” he said. Citing the Taman Mahsuri Impian as an example, Poo said investors are assured of rental returns. “Purchasers can be assured of between 13% and 27% return on their investment,” he added. On complaints by some developers that difficulties in obtaining loans for buyers are causing them to lose some deals, Bank Negara Malaysia said this was to ensure individuals do not borrow beyond their means. In a report on online news portal The Malaysian Insider on March 22, Bank Negara Malaysia assistant governor, Dr Sukhdave Singh, was quoted as saying that “while easy loan approvals may give a boost to economic activity in the short term, there would be a price to pay in the long term that would be borne by the whole economy”. “Credit guidelines are not intended to deny loans to genuine borrowers with genuine needs and who can afford to repay,” Dr Sukhdave Singh was quoted as saying. The ruling came into effect in November 2010 when the central bank announced a maximum loan-to-value ratio of 70% for third housing loans to curb excessive investment and speculative activity in the residential property market. Financing for the purchase of first and second homes was, however, not affected by the ruling. The central bank said the measure would help ensure housing remained affordable and promote home ownership among Malaysians, which was an important item on the national agenda. The Perak chapter of Real Estate and Housing Developers’ Association Malaysia (REHDA) is confident that Perak’s property market will take off in the coming decade. 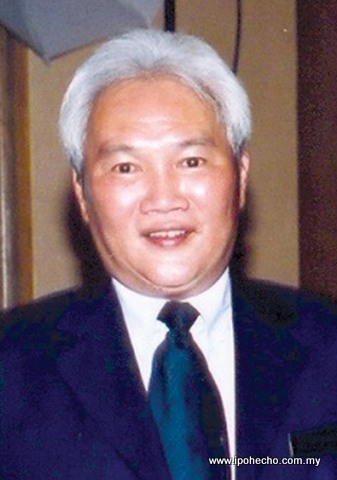 Its chairman Dato’ Francis Lee said that apart from the laggard pricing from Peninsular Malaysia, Perak’s house prices are also increasingly laggard from the cost of delivery of the housing development. “With the increase in household income over the last few years and the current low interest regime, the affordability index is at an all time high for the intended target group of purchasers,” he told Ipoh Echo through an email interview. Lee said that the Government’s measures to curb speculation by way of a revision of rates to ‘Real Property Gains Tax’ and a 70% ceiling on housing loans, would have little impact on the housing market scene in Perak. “The other positive measures implemented to promote home ownership by way of ‘My First Home Scheme’ and ‘1 Malaysia Public Housing Scheme’ (PR1MA) will be supportive of the housing industry in Perak,” he said. 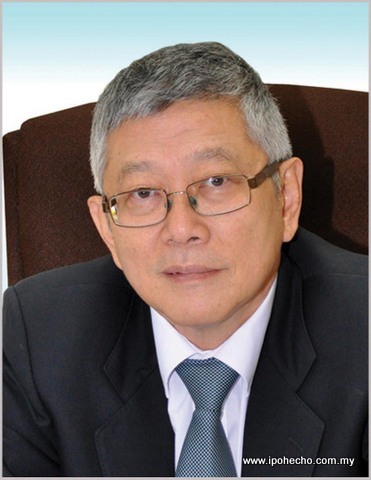 Lee noted that investors contemplating a purchase of a property in Perak will be comforted by an assurance that the prospective property is comparatively cheap and defensive in value and has capacity for strong capital appreciation into the future. 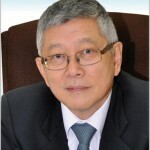 “A cursory review of the average transacted price of housing properties within Peninsular Malaysia for 2010 and 2011 shows that the price of properties in Perak for the corresponding period is indeed very cheap by comparison” he said, pointing out that the average transacted price for properties in Perak for 2011, consisting of transactions in both the primary and secondary market, is RM122,275. “This ranks the pricing of housing property in Perak at the tenth spot in Peninsular Malaysia and only ahead of Perlis, Kelantan and Terengganu,” he added. “As the major variance for the cost of delivery of housing properties within Peninsular Malaysia is the land cost, there is no rationale for the vast laggard pricing and the prices for housing in Perak will inevitably move upwards in the coming years,” he noted. Lee said for low-cost housing, there were 90,606 units in Perak in 2011 representing 23.32% of total housing stock. “This is largely represented as mandatory delivery of low-cost housing by housing developers under corresponding state guidelines,” he said. 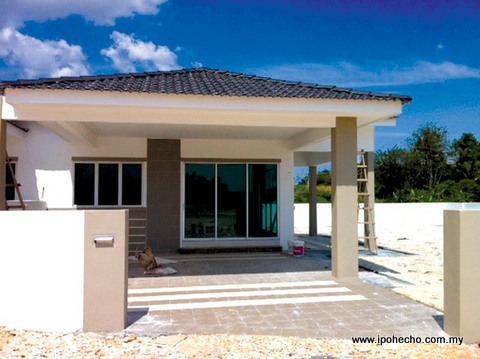 Lee noted that single-storey terrace, two to three-storey terraced and detached houses form the bulk of the housing stock in Perak, tallying at 264,667 units or 67.83% of total stock. “With the increasing household income of the last few years and a growing affluent population, there will be a corresponding growth in the percentage of delivery of semi detached, detached and condominiums in the coming years,” he added. As the ‘Population and Housing Census of Malaysia – Preliminary Count Report 2010’ reports that there are 559,405 households in Perak as at census date, this would mean that 169,188 households in Perak are living in non-conventional housing in the form of small holdings with rural residence, shop houses with residential facilities and residential premises built on TOL (temporary occupation licence) land, said Lee. “The fact that the price of housing in Perak is much laggard from Peninsular Malaysia pricing, it would be fair to infer that there is no element of a property bubble subsisting in Perak,” he said.